While many Utah women might want wife and mother to be their sole career, a bad economy has forced many to juggle new jobs along with their family lives. Meanwhile, according to recent census data, Utah ranks fourth from the bottom in disparity between men’s and women’s pay. And at least one Utah lawmaker says this is a problem that doesn’t affect just women, but everyone. “This is about the whole family,” says Rep. Jennifer Seelig, D-Salt Lake City. The need for Utah to take a hard look at the gulf between what women make in wages compared to men goes beyond women and mothers, she says, and extends to how families as a whole are affected by how companies treat the family breadwinner—whether that’s the mom or the dad, or whether the family includes a houseful of rugrats or elderly parents or relatives. Seelig says that in researching how women become politically engaged, she’s come to realize how artificial the lines are that divide up a person’s life. And she believes that what holds true for politics also applies to business, which is why she’s running a bill that would create a commission to study women in business and support flexible company practices that help female employees balance their home and work lives. A major element of the proposed commission would be including representatives from local small, mid-size and large companies that have been recognized for progressive policies that allow employees—especially female ones—flexibility in their work and care-giving roles. Besides providing flexibility with maternity and paternity leave, such companies may also offer onsite daycare and other means of supporting parents. The commission proposed in Seelig’s House Bill 90 would include 11 members, with seats filled by representatives from the governor’s office and local companies, plus lawmakers and a domestic-violence service provider—a crucial position, Seelig says, given the link between a woman’s economic stability and her ability to leave an abusive home. Members would provide a public forum on women’s issues in the economy and would conduct studies of policies and programs in government and the private sector that support women’s rights and contributions to the economy. If HB90 is passed, the commission would also host company representatives lauded for workplace flexibility. One such company is Salt Lake City’s Christopherson Business Travel, which won an Alfred Sloan award in 2013 for flexibility. Kathleen Roberts, a business development manager at Christopherson, says the company embraces a philosophy of treating employees as “assets” instead of punishing them if they need to take time off to visit family in the hospital, take children to parent-teacher conferences or deal with whatever else life throws at them. The company even has a female manager who works remotely from out of state after her husband had to relocate from Utah for a new job. “Employees are loyal to this company, because when something comes up, they know they’ll get the support they need,” Roberts says. Such flexibility is a way of accommodating employees that Seelig’s commission would like to help support, especially in recognizing the sometimes-undervalued role of women and mothers in the workplace. 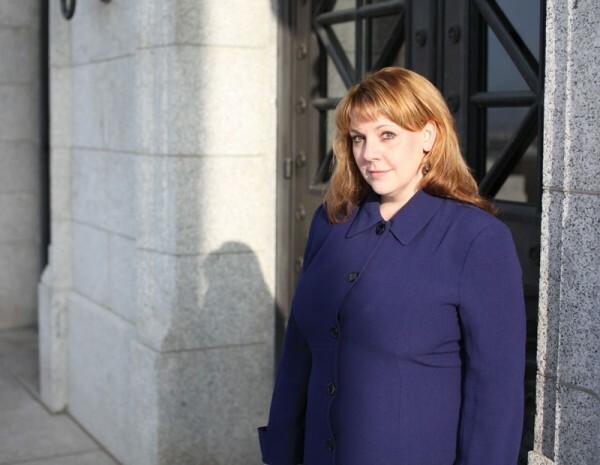 Holly Richardson—a conservative blogger, former lawmaker, candidate for legislative office and mother of a “ton” of kids—says she’s read Seelig’s bill and believes it’s a great idea. She says that while there may be some cultural resistance to get past, there’s also a need to recognize women who work, and to begin a much-needed discussion about helping them out.